Luxury living at the Metro 9 condominiums. Enjoy a fully amenitized building including a community lounge, catering kitchen, pet groom area, fitness center and an outdoor roofdeck with panoramic views of downtown Boston. Shopping, grocery stores, coffee shops and public transportation options are all within a short distance of Metro 9. 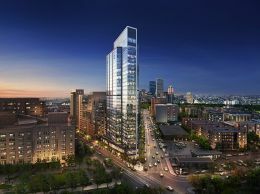 Easy access to Kendall Square, Union Square, Assembly Square and all of Boston. Enjoy custom cabinetry and stainless steel appliances in this newly updated and beautiful home. The information in this listing was gathered from third party resources including the seller and public records. Listing information provided courtesy of Dallin & Gollinger of Coldwell Banker Residential Brokerage - Boston - Back Bay. MLS Property Information Network, Inc. and its subscribers disclaim any and all representations or warranties as to the accuracy of this information.